Saturday marked the start of our pre-season campaign in London and what a fantastic start it was. Warriors took on Harlequins at Twickenham Stoop as part of their 150-year anniversary celebrations. 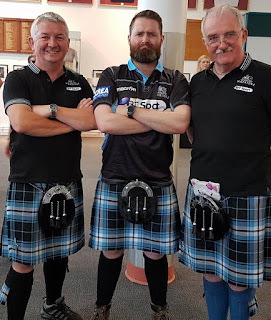 It also provided the XVIth Warrior with the opportunity to stage a ‘Tartan Takeover’ by donning the all new Glasgow Warriors Kilts! Away games of any sort are always quite special, the atmosphere is always different. In Scotstoun we are united, powerful and somewhat intimidating to the opposition which fills us with confidence. When we’re the visitors our numbers are dwindled, but we still manage to make our presence known with our chants and songs. 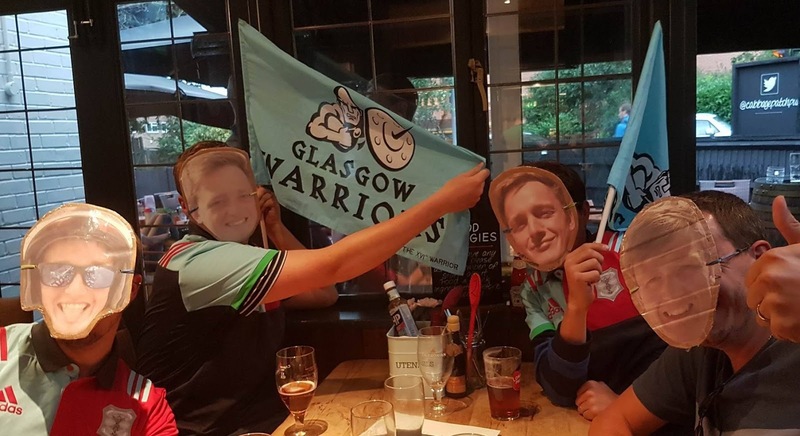 This occasion was no different, and the Warrior Nation managed to fill the void between the monotonous ‘HARLEQUINS’ chant with a rather loud ‘GLASGOW’ response! 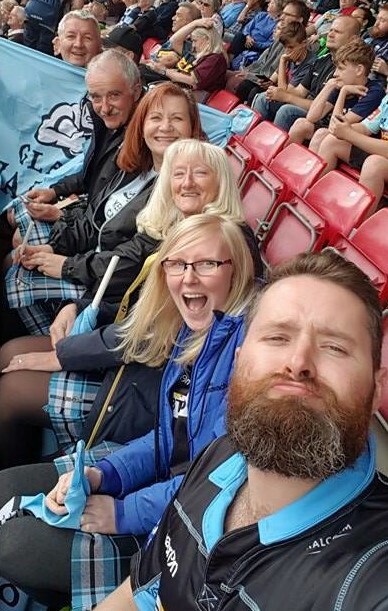 Travelling fans are also a fantastic breed of people but not everyone has the ability to travel, I really recommend getting to at least one away game if you haven’t already. It is a great opportunity to meet some fantastic people and make great friends. There is also the dancing and drinking with the committee after the game, which is a must. Your first away experience is unlikely to be your last. What were the highlights? For me, Leonardo Sarto ran onto the pitch with a mission – to firmly cement his place in the starting XV come Galway. The passionate performance that followed suggests he will achieve that unchallenged. Scoring a try on his debut against such a strong Harlequins side will hopefully be the first of many career highlights for the Azzurri Warrior. A classy performance all round. There were a few other outstanding players on the pitch making their debut for the Warriors, with a particularly solid performance at No. 8 from new boy Lewis Wynne. Simone Favaro once again proved he has little regard for his own personal safety. If the big hearted Italian can avoid injury this year he will surely be a contender for Player of the Season. However, Man of the Match for me had to be Rory Hughes, an all-round accomplished performance. He has obviously been working on controlling his naturally aggressive style. He tackled and carried well all afternoon and should be a regular starter this season. What were the lowlights? Concern arose when Nick Grigg took a bad knock and was stretchered off, however, word was quickly received that he was up moving around and recovering well. Everyone here at the XVIth Warrior can’t wait to see him back out on the pitch. Losing a game is always disappointing, however, the overall performance of a number of ‘alleged’ second string players was highly impressive. Given the strength of the opposition, littered with England Internationals, we can be quite content with the result. We couldn’t talk about an away game without mentioning the fans that always make these trips… interesting. The Harlequins cheer leader was the most enthusiastic fan I have ever had the pleasure of meeting; we need one of him in Scotstoun for sure. More importantly, the #wheresbradford boy’s. The Harlequins fans in general were exemplary and made the travelling support feel very welcome. 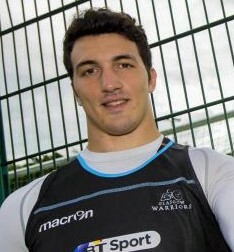 Overall, the performance from the Warriors has shown that Gregor is determined to end his career with the club on a high and we at the XVIth Warrior can’t wait to get behind him and the boys over the next eight months to show the Pro 12 and the European Championship that we are not going to settle for anything other than silverware – including the 1872 Cup!